Scheduling future sessions works the same as logging past ones—just mark a future date, and stay informed in the Upcoming Sessions tab. 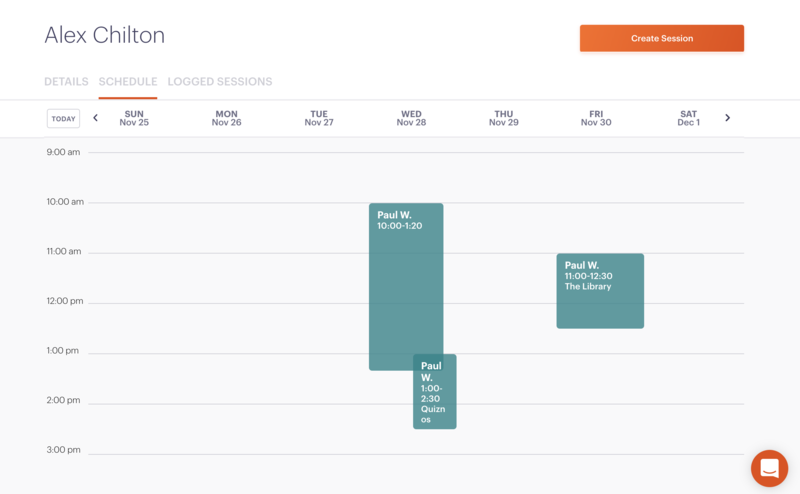 Scheduling a session is no different from logging a past session. Just log it as you normally would, but mark a future date, and it will be added to the 'upcoming' sessions list. And you can keep an eye on your clients' individual schedules. Sessions are labeled either 'Upcoming', 'Complete', or 'Cancelled' in the sessions tabs. When a session's date passes, it automatically moves from Upcoming to Complete, and tutors can add their report to verify that it happened. 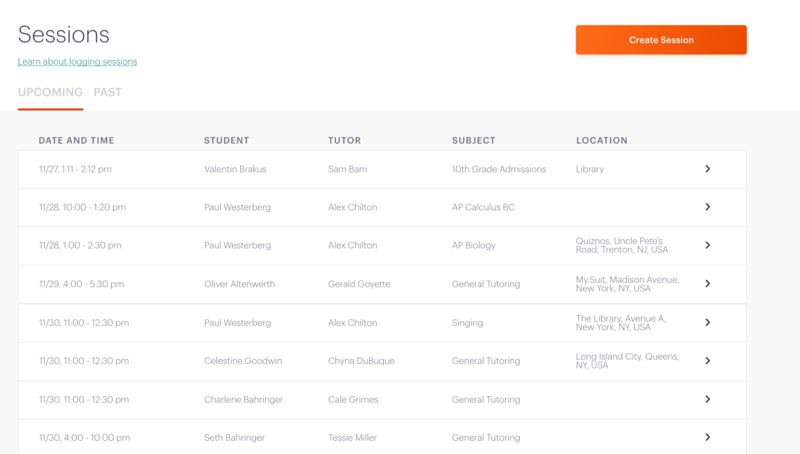 Tutors and admin can make notes in the internal notes. They will remain editable until the date passes (they remain editable even after the date passes, but keep in mind the session report has already been emailed to the client—if you chose for it to). Sessions created in the future are scheduled, but they become logged, or ‘complete’ when they move from the future to the past. If you are using prepays, the future sessions won’t use up any credits until the event happens.